Is There any Difference Between IT Consulting, IT Services, and Software Consulting? Are IT consulting, software consulting and IT services same or are there any differences? Let us find out in the following sections. What Are The Difference Between IT Consulting, IT Services, and Software Consulting? Broadly speaking, the role of IT consultants is to offer guidance on various topics ranging from IT strategy to be utilized (as for example, which type of information should be kept in data centers or the cloud) to kind of functionality and technology that will be required for an organization to fulfill its business goals (like for instance, mobile security or process automation). Are there differences between IT consultants and IT service experts? In general, an IT consultant is a person with domain level expertise and works in a specific sector or area. The consultant very well knows about functionalities and features that are to be included in a certain service or product to make it successful. On the other hand, an IT services professional fully understands the procedure to be followed for coding all the functionalities planned by an IT consultant. Thus, in IT consulting the role of a consultant is to help his or her clients accomplish their goals as well as assist them in preparing for practical issues they are going to face with system operations and other implementations. However, it is worth mentioning here that many times customers want their IT consultants to recommend solutions as well as implement those recommendations. In such situations, the difference between IT services and IT consulting gets blurred. So, let us now look at what is meant by IT services. IT consultants have the task of explaining what to use as well as how to use it for achieving a goal while IT services professionals have to carry out the work for running IT applications. Thus, the job of the consultant is to locate right solution and IT services professionals need to implement those solutions. But it can also happen that the IT services provider also takes up the responsibility of providing IT consulting services. This is one form of pre-sales engineering which is utilized for analyzing solution that would be most suitable for you, leading to further confusion about roles of IT consultants and IT service professionals. The solution is to consider an IT consultant as a person who functions as a strategic guide and IT service professional as someone who implements solutions as suggested by the consultant. In the last part, let us explore what is meant by software consulting. This type of consulting is focused towards applications and software layer, making it a broad term that encapsulates different industry verticals. Moreover, the responsibilities of software consultant are quite similar to those of an IT consultant wherein the software consultant takes initiative on how a certain application is to be created with an eye on prevalent industry trends. As we can see, the distinction between these terms is quite blurred and the role they play is also quite similar. There isn’t a single place or task nowadays where a computer is not used. The use of a computer by adults in normal households has increased by 80 percent in the past five years. This boom in the use of computer’s is equally evident in the industry sector as well. Hence, the IT services are more sought out now than they were ever before. These IT Services are offered by many providers in the market such as Surety IT. Communication: Communication with the IT department is not always easy. They use specific terms and language that is hard for the normal people to understand. Hence, communication is even more important in this case. You must be able to explain your IT service provider what your problems are and in turn get the solutions diligently implemented. Skilled Staff: There are a lot of service providers available in the market nowadays such as IT Services Sydney. In this crowd, one has to look for a firm that has the technicians who are qualified to tackle the IT problems faced by the company. Access Remotely: With the introduction of seamless communication, Wi-Fi and the internet, new feats have been reached. One such feat is working on a computer while being at a distance. 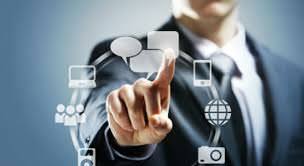 This access saves time and hence, should be looked for in an IT service provider. Proactivity: The IT service provider must perform the necessary task ex-ante rather than waiting for a problem to occur. In this way, many problems will be spotted and solved beforehand. Hence, with these things guaranteed, you can work around the growth of your company.